Roof Replacement See Our New Roofing Page! If we cannot save that aging roof with restoration, we can remove and replace that roof for you with pleasing and cost efficient results. Best re-roofing prices in the Northwest! 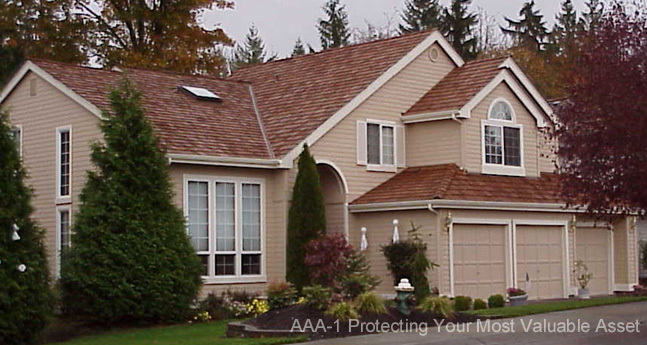 Years of experience with cedar roofing make AAA-1 the obvious choice! All other types of roofing material are handled as well. Please feel free to call the office for customer references.